Select Sundays at Shadowbox Live's stage at 2 and 7 p.m. Although Shadowbox Live might not have the power to resurrect David Bowie and Prince, it has kept their spirits alive by reviving the transcendent production of Evolutionaries: The Stories and Music of David Bowie and Prince. 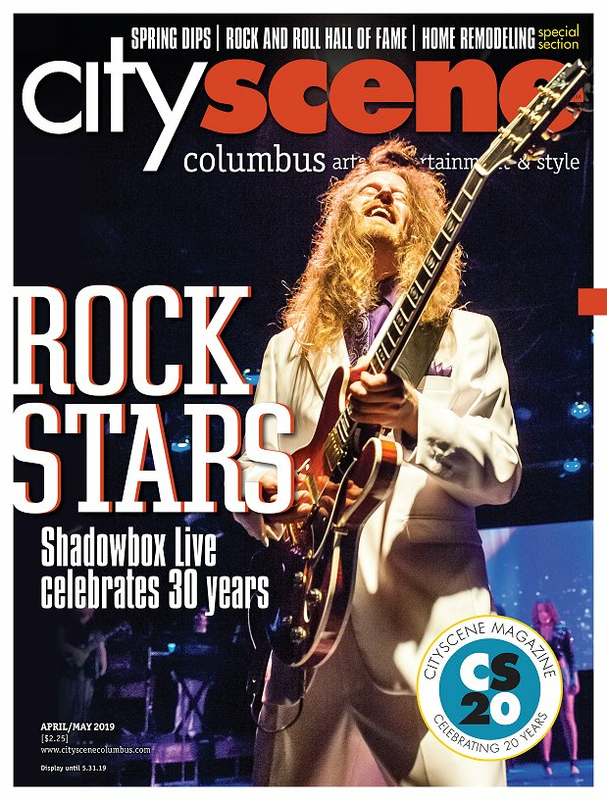 Shadowbox brings a free show to the Columbus Commons stage every year during Labor Day Weekend, and this year is no different. Free to audiences this weekend, casual and dedicated fans alike can enjoy a night of music, dance and wonder on Sunday, Sept. 2 at the Commons. Food and drink vendors will open at 6 p.m., allowing for plenty of time to relax and enjoy the outdoor venue before the show kicks off at 8 p.m.
“In addition to presenting some of rock music’s greatest tunes, the show will take a look at the similarities as well as the differences between these two iconic performers and how their music impacted the world,” says director and producer Julie Klein of the original performance of Evolutionaries in 2017. Initially staged in 2017 from January to May during select dates, this end of summer performance kicks off a shorter schedule of shows on choice Sundays during September and October. Along with being a great time, this Sunday’s public and complimentary viewing serves as a reminder of the astonishing impact both artists had on pop culture and social justice, something that is still being celebrated two years after the legends’ deaths. At this fun and uncommon outdoor venue for Shadowbox Live, lawn chairs and blankets are welcome, but coolers are discouraged. To plan ahead for conveniently located parking, prepay now at the Columbus Commons website. Don’t miss your chance to experience a free out-of-this-world performance in downtown Columbus’ backyard. Maggie Ash is a contributing writer. Feedback welcome at feedback@cityscenemediagroup.com. Copyright 2018 CityScene Media Group. All rights reserved.